RSS lets you subscribe to blogs. It also lets you read posts in peace, free from distracting peripheral ads. This explains why Google would kill off the world’s most popular RSS reader. 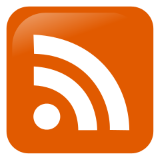 Blogs used to display an icon linking to the site’s RSS feed, and any still do. Blogging software still creates RSS feeds, though links to these feeds have become harder to find. There are several ways to find the RSS feed of a site that does not make this feed obvious. Your blog reader may be able to find the RSS from the site’s URL. You can try adding /feed or /rss to the end of the domain. You may be able to find the RSS feed by looking at the HTML source of the front page. There are browser plug-ins that will show when a page has RSS feeds. Take for example Bill Gates’ blog. You’ll see at the top how to subscribe by email, and you’ll see at the bottom links to Facebook, Twitter, LinkedIn, and YouTube, but no RSS. Digg Reader was able to find the RSS feed from just the top level URL http://www.gatesnotes.com/. Tacking /feed on the end doesn’t work, but http://www.gatesnotes.com/rss does. If you open up the page source, you’ll find 31 references to RSS. Turns out there is a link to the RSS feed after all. It’s in a menu under the + sign in the top right corner. While writing this, I started to change my example since I was wrong about the site not displaying an RSS link. But I decided to keep it because it shows that the steps above also work when there is an RSS link but you’ve overlooked it. If you want to subscribe to this blog via RSS, there’s a big blue button on the right side that says Subscribe by RSS. You can also subscribe to individual categories of posts in case you’d like to subscribe to my math posts, for example, but not my software development posts, or vise versa. There are also RSS feeds to my Twitter accounts, thanks to BazQux. Thanks, Dave. I didn’t think about the RSS feed when I renamed the account, and nobody has said anything until now. *That’s* why google reader was killed off, huh? Is this a guess, or is it verifiable? It makes so much sense! I never understood why something useful like that was thrown out. I can’t speak for Google, and as far as I know they’ve never publicly said “We want to kill RSS because it reduces our advertising revenue.” But obviously it is in their interests to kill RSS.